All campsites are occupied as of 4:30 pm today and there are only two overflow campsites available. Check back for more updates. 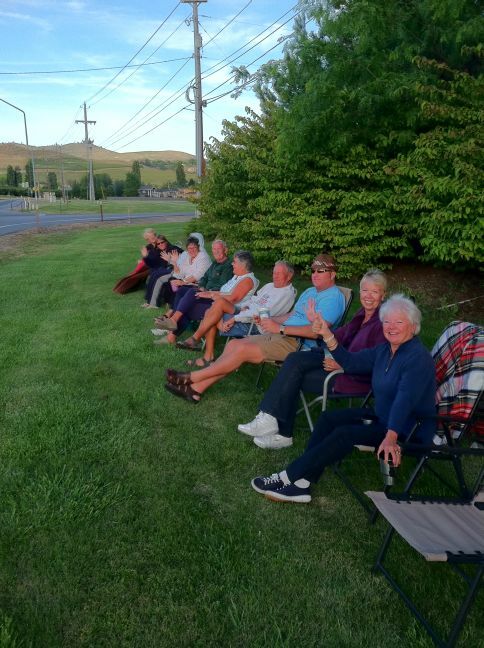 Several park members took a free seat to listen the the Doobie Brothers concert at the Mill Bay Casino. There were apparently lots of people driving by waving and honking. Everyone had a good laugh. There is always something fun going on at the park.